Have you ever wanted to go on a road trip and see new and exciting countries in a way that most people don’t? Of course, you have, who hasn’t. Road trips are one of the most exciting and unique ways to see a country. You get away from the resorts and the typical tourist hotspots and you can see the countries you drive through in a completely different light. This is especially true for your home country if you have never done a road trip there. Songs, movies and books have featured some of the most famous routes in the world such as route 66. They detail the adventures, sights and experiences, that you could also have. Here we have chosen a selection of some of the most famous routes in the world and we will describe them to you in some minor detail to get those inspirational ideas flowing. Hopefully they will inspire you to use Purple parking a handy little service and go on your own adventure, maybe your native country is mentioned, and you can stay closer to home. 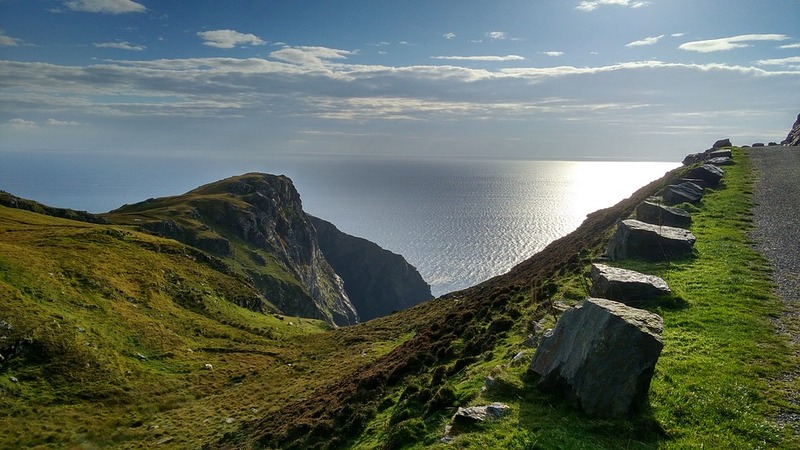 The wild Atlantic way takes you on a journey of over 2,000kms on the west coast of Ireland, bringing you along some of the most rustic and weather-beaten coastline you will witness. Ares of interest are the world-famous cliffs of Moher and Skellig Michael, recently used in the Star Wars franchise. The journey can be completed in your own pace and is easily marked along may routes and maps. Otherwise you can simply ask a local, Irish style. What list would be complete without a mention of the incredible route 66, one of the most famous road trips in the USA. This 3,800 km journey will take you through small town America from California to Chicago and show you some of the old style and grace which inspired many musicians and travellers alike. You will have truly used one of the #wheelsoftheworld if you use an old Ford or Mustang for this trip. Would you like to see the twelve apostles in real life? Well then this is your chance as it is one of the many sights which can be found on the Great ocean road. Driving west out of Melbourne you will discover rain forests, ocean hugging cliffs and beaches and seascapes which make Australia one of the most picturesque countries in the world. Continue along to you next destination, or simply camp wherever you find a beautiful national park which allows it. These routes are just some of many of the endless routes which can be taken around the world. Going on holidays and relaxing by the pool is a nice holiday. But to really see a country you must get out on the road, see the locals and drive the routes that are famous for a reason. They only cost you the price of a rental or even your own car. 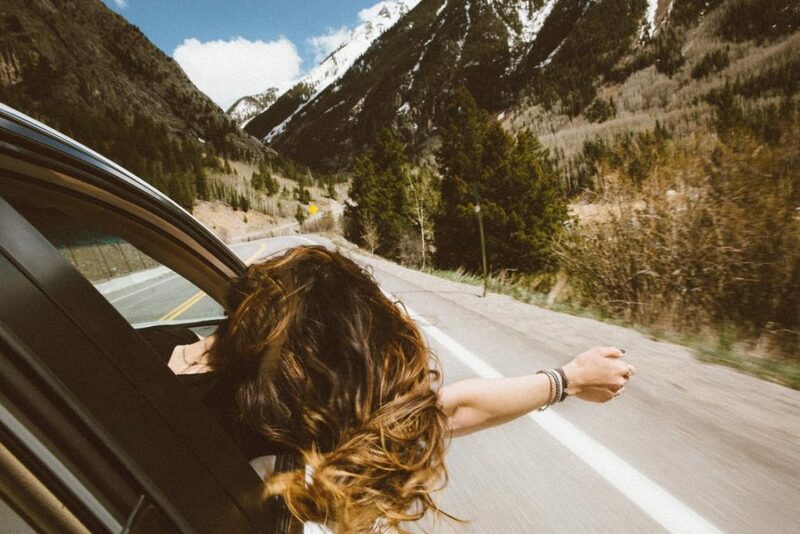 Road trips are something you will simply not forget. From coast to coast, drivers are hitting the road this summer. With the winter months behind us, many love to hit the open road and enjoy the warm weather. Some drivers are going on extended road trips, while others are opting to stay closer to home. But no matter how far you are traveling this year, you will need to get your vehicle ready. Below you will find some tips that will help you do just that. This very easy and simple tip is often one of the most unnoticed. For some reason, drivers fail to understand just how important it is to get their oil changed on a regular basis. This is especially true during the summer months. As you drive your vehicle down the road, the engine will begin to heat up. Your oil which is designed to keep your internal engine parts lubricated will start to slowly break down. 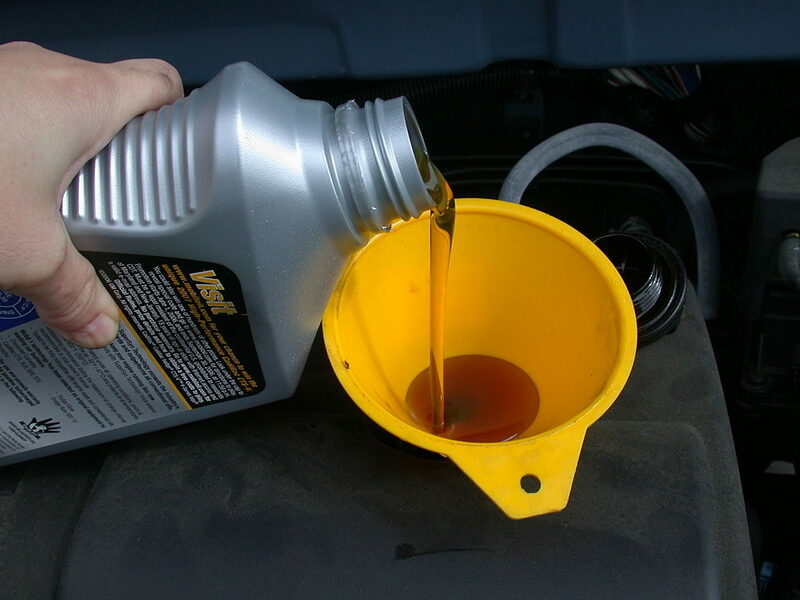 Changing your oil regularly will help keep your parts working the way they should. Failure to change your oil could cause your engine to lock up leaving you stranded on the road. A simple oil change can save you thousands of dollars in repair costs. In the summer months, the road itself starts to heat up and so do your tires. When this happens, changes in your tire pressure can occur. Having low pressure can negatively impact your gas mileage and cost you more to drive. So, before you hit the road, make sure that you check your tire pressure and make sure it is in line with the tire manufacturer’s suggestion. If you are unsure how to check your tire pressure, this website will get you started in the right direction. In most parts of the country, the summer months can be very hot. Riding around with an AC that simply won’t cool is not the way you want to be traveling. A great way to ensure that your car’s AC is ready for summer is to get it checked out by a professional mechanic. He or she will be able to check your Freon levels and add some gas if needed. This simple fix is all most cars need. While your problem may be larger than low Freon levels, it’s a good place to start. To learn more about how to tell if your car is low on Freon, please check out this link. Here you will find some warning signs to look for. These tips will help get your car ready for the summer months. Remember, no matter how far you travel this summer, you will need to make sure that your car is in working order. If you fail to do so, you might be sorry. Getting stuck on the side of the highway is no one’s idea of a good time. So why not be proactive and do something today? It will save you money and time if you do. Whether you’re planning a romantic trip with your partner, a fun getaway with friends, or an exciting adventure with your family, a long road trip can be the perfect way to travel on your own terms. When you’re driving, you don’t need to worry about things such as checking in for flights, catching public transport, or finding alternative routes – you can simply get behind the wheel and go where you like, whenever you like! However, the one thing that you don’t want to happen during your trip of a lifetime is for your car to break down! Most of the time, our cars are quite robust and go through a lot, however, a long road trip puts a lot of strain on a car engine that isn’t usually there during day-to-day use. So, before you set off, it’s important that you fully prepare your car to make sure that the risk of it breaking down half-way is as low as possible. We’ve listed a checklist of the main things to do to make sure that your car is up for the job. Even if your car isn’t due to have its annual service, getting an interim service before you head out on your road trip is a good idea. This will ensure that your car is in safe working order, for example, the oil and brake fluid levels are filled correctly, it has enough water in the engine, and there is enough coolant to keep it running smoothly even for prolonged driving periods. During the service, you could even ask the mechanic to check things such as your brakes and clutch, to make sure that they are working correctly and unlikely to cause any problems during your road trip. For more information, check out these BMW service options. Car batteries tend to last a long time, and whilst you’re driving your car around, this will keep the battery charged for the next time that you use the car. If you haven’t been experiencing any problems with your car battery prior to your road trip, then it’s unlikely that you’ll have any problems whilst on the road, however, it’s always better to be safe than sorry. Get a professional mechanic to check your car battery to ensure that it’s in full working order. It’s also a good idea to obtain some jump starting leads to have in your car once you set off, just in case any issues with the battery do arise. Remember that battery problems can always be caused by simple thing such as forgetting to turn off your lights, which can happen to anybody! When you’re taking a long road trip, the last thing that you need is for the electrics on your car to fail. Broken tail lights or headlights, for example, aren’t just dangerous when driving in the dark or weather causing bad visibility – they can also be illegal and a valid reason for you to be pulled over, which will surely ruin your trip. Before you set off, you should check all the lights and make sure that they are working properly – do they turn on first time, and when they are on, do they look clear or is the light dim or cloudy? If it is the latter, then you may need to have your bulbs changed. Taking some spare bulbs along and learning how to change them yourself is also a good idea that can help prevent any unnecessary light-related problems. Lastly, don’t forget to check that your indication lights, brake lights and reversing lights are also working correctly – this can be done easily with the help of a friend. A punctured or flat tire can be a very annoying thing to deal with whilst on a long road trip, and it can also put you at a higher risk of danger, especially if your tire goes flat whilst you’re driving at speed along a highway, for example. Before you leave, you should fully check your tires to make sure that they are at the correct tread depth, and check them for any signs of extreme wear and tear, such as rips or bulges in the side wall, that could cause problems when you are driving. You should also check the tire pressure to ensure that it is in line with the number given in your car owner’s manual. Most of the time, tire pressure can be rectified by simply adding air, however, if there are further problems with your tires, then you might want to consider getting a replacement before you leave. The brakes are one of the most important parts of your car. Before you set off on a lengthy road trip, it’s crucial that you’re sure that your brakes are working correctly. To check the brakes yourself, you should drive your car to a quiet, empty area and carry out an emergency stop – this is done by firmly and sharply pressing down on the brakes to bring the car to a standstill immediately. It’s also a wise idea to have your brakes checked by a professional before you set off; they will be able to look at the mechanics of the car to find out whether the brake pads are worn down, for example. Lastly, it’s important to make sure that you don’t overload your car when packing it up for a road trip. Not only can heavy loads make the handling and steering of a car more difficult for the driver, it will also cause the car to use up more gas, which can be an expensive experience for you. In addition, too much luggage packed into the car can also increase the negative effect that it has on the environment through carbon emissions. So, pack as lightly as possible for your comfort and safety. Did these tips help? We would love to hear from you in the comments.